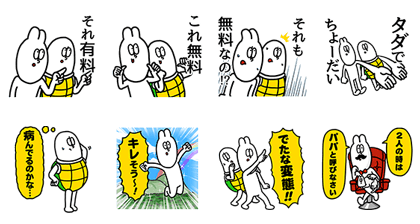 http://www.line-stickers.com/ – Usakame Tsuitsui: Free Line Sticker | Hi everyone, thanks for coming to my booth! Please give these free stickers a try and be sure to tell all your friends about Amazing Hiroto’s amazing stickers! Available till July 10, 2016.